R&B, Pop, Funk, Rock, Jazz, and Country, the band can play it all! The Gratitude & Grace House Band came together to provide celebrations at Gratitude & Grace with quality music and musicians to make the best dance party possible at a reasonable price! The band is a group of professional musicians and singers from all over New York performing some of the best dance songs and romantic ballads from the last few decades to the present day. When you're having the time of your life you don't want the music to stop and the party to be over in the early evening. Most bands and DJ's that you hire elsewhere will pack up and leave after their set is over, leaving you with no music or sound system. The Gratitude & Grace House Band is a group of professional musicians who are happy to play as late into the evening as you'd like. Another option is our Live DJ set which combines a local DJ with one or two musicians playing live instruments. The addition of actual instruments can pump up any playlist. 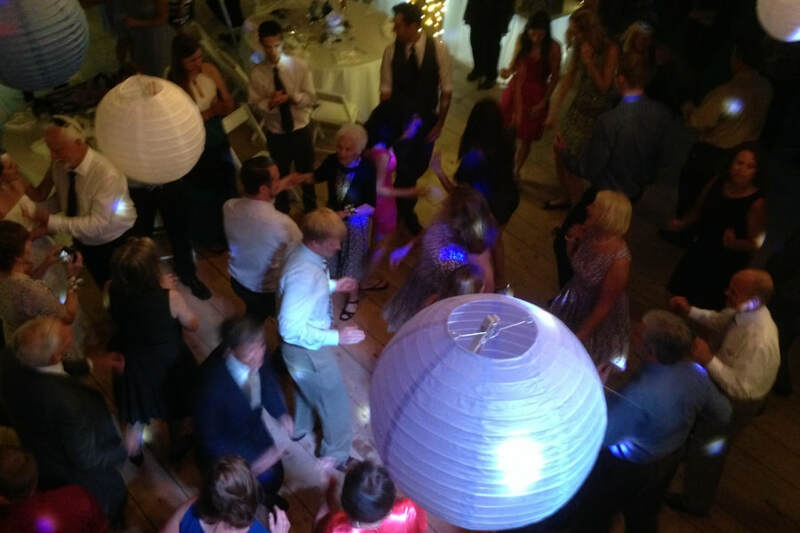 The Gratitude & Grace House Band and Live DJ comes with a state of the art sound system, comfort and experience in playing and setting up in the Wedding Barn. Their sound system can be used for your ceremony, cocktail hour, dinner music, toasts, after hours dance party, and anything else you'd like in your weekend celebrations. Download their Press Kit below for a list of sound tracks and to learn more about the members of the band.